South African film ‘Inxeba’ (known internationally as ‘The Wound’) has won the Best Film Award in the International New Talent Competition, at the Taipei Film Festival, which runs from 29 June to 15 July. The festival screens 160 films from more than 40 countries to around 100 000 visitors each year and is recognised as the most influential showcase of international cinema in Taiwan. This is a latest in a string of awards for the film, which explores tradition and masculinity, and the clash between age-old rituals and modernity. Described by Variety magazine as “a milestone in South African cinema”, the film stars musician and novelist Nakhane Touré as Xolani, a lonely factory worker who joins the men of his community in the mountains of the Eastern Cape to initiate a group of teenage boys into manhood. When Kwanda (Niza Jay Ncoyini), a defiant initiate from the city, discovers his mentor’s secret, Xolani's entire existence begins to unravel. At Cinema Jove, the Valencia International Film Festival, held in Spain from 23 June to 1 July, ‘Inxeba’ was awarded the Luna de Valencia for Best Feature Film, as well as the Best Actor Award for Nakhane Touré. At one of the world's longest-running film festivals, the Sydney Film Festival, held from 7 to 18 June, ‘Inxeba’ won the Audience Award for Best Feature, with ScreenDaily describing it as “a measured consideration of class, race, self-loathing and self-assertion”. At the 41st Frameline, San Francisco’s international film festival, held from 15 to 25 June and where 147 films were screened, ‘Inxeba’ won the First Feature Award. 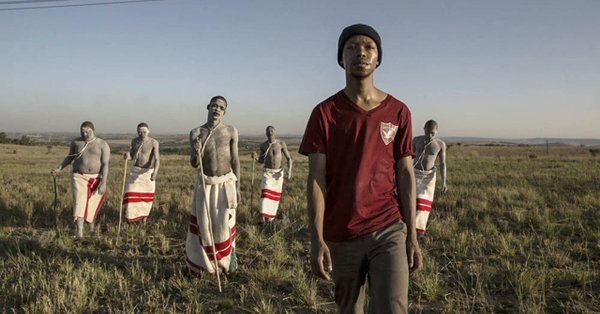 ‘Inxeba’, which premiered at this year's Sundance Film Festival and later opened Berlinale Panorama, was a 2014 Durban FilmMart project. This initial pitch enabled the team behind it to obtain funding from a number of international financiers, resulting in a co-production between South Africa, France, Germany and The Netherlands. ‘Inxeba’ will have its African premiere in competition at the Durban International Film Festival (13 to 23 July), screening at The Playhouse on 14 July. ‘Inxeba’ is the first feature from writer-director John Trengove, and is co-written by Trengove, Thando Mgqolozana and Malusi Bengu. The Xhosa initiation ritual which forms the landscape of the film is also the subject of ‘Inxeba’ co-writer Mgqolozana’s novel, ‘A Man Who Is Not a Man’. ‘Inxeba’ will continue to travel around the world, having been sold to 19 countries for theatrical release thus far, and will be distributed in South Africa by Indigenous Film Distribution.